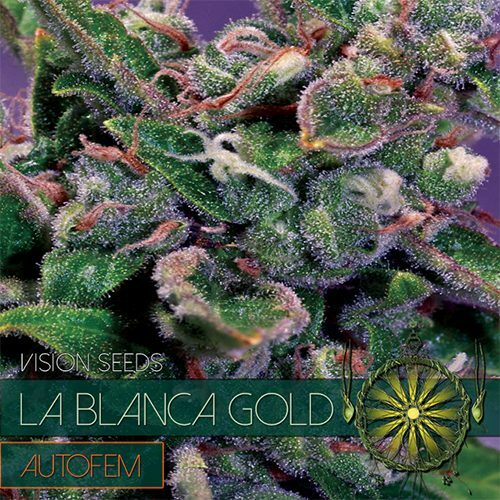 The White Widow Auto is the Vision Seeds auto-flowering variant of the White Widow strain, I guess that’s what the name already suggests of course. One of the most potent Ruderalis hybrids around with an amazing fruity smell and taste. 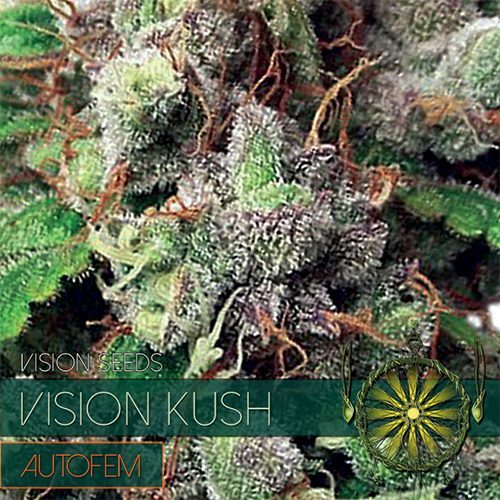 A perfect strain to be used for some serious relaxation. She’s not a super yielder, for an auto-flowering strain she produces average yields but the result is absolutely worth it. 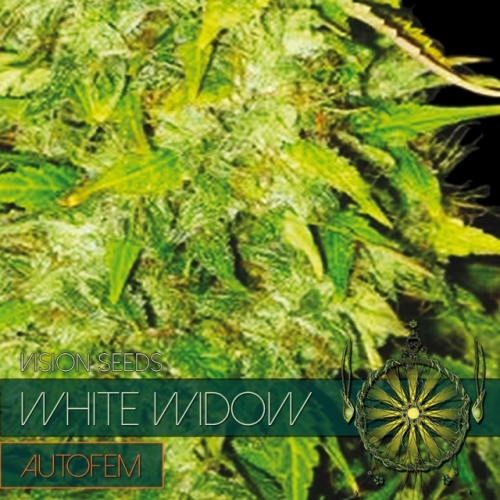 The White Widow Auto is the Vision Seeds auto-flowering variant of the White Widow strain, I guess that’s what the name already suggests of course. One of the most potent Ruderalis hybrids around with an amazing fruity smell and taste. The effects she brings about are often used to reduce anxiety, stress and sleep disorders, a perfect strain to be used for some serious relaxation. She’s not a super yielder, for an auto-flowering strain she produces average yields but the result is absolutely worth it. 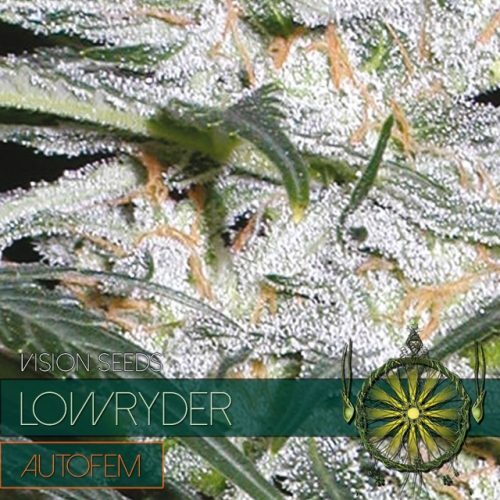 The White Widow Auto is suitable for Indoor, outdoor, greenhouse and hydro culture. 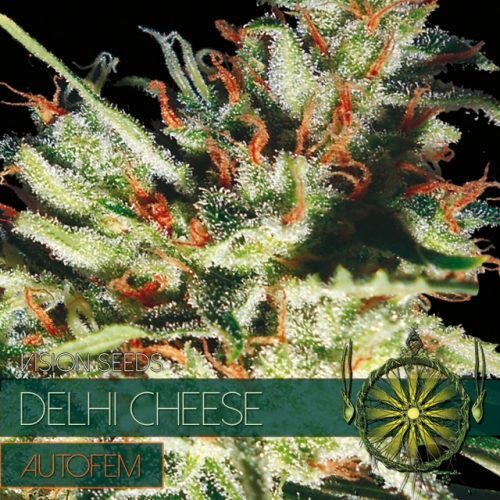 A great strain for beginning cultivators due to her strong solid nature, high natural resistance against fungi and her ability to withstand almost any climate. She passes almost instantly from seedling to the flowering stage, she practically does away with the vegetative growth stage, in a process called auto-flowering, hence “again” the name. In other words, when planted, it sprouts, grows a couple sets of leaves, then immediately and automatically begins flowering. The White Widow Auto has a small to medium size posture, she’s a discreet plant perfect for when there is no wish for the attention of neighbors or people passing by. She tends to form a large, heavy top central bud which can be stimulated in growth and denseness by clipping some of the lower branches.